Last week’s economic news included readings on construction spending and inflation; labor sector reports on the national unemployment rate, public and private sector employment were also released. Weekly readings on mortgage rates and new jobless claims were also released. Construction spending expanded by one percent in February according to the Commerce Department spending was one percent higher month-to-month; analysts expected a negative reading of -0.10 percent. February saw a revised gain of 2.50 percent growth in construction spending. Construction spending grew 1.10 percent year-over-year; by comparison, 2016 construction spending reached 10 percent year-over-year. High demand for homes and lower mortgage rates could compel more construction spending as the peak home-buying season starts. Retail sales slowed in February, but January retail readings were strong. Sales dipped -0.20 percent as compared to 0.30 percent growth expected and January’s reading of 0.70 percent. Retail sales excluding automotive sales fell to a negative reading of -0.40 percent in February as compared to expected sales growth of 0.40 percent and January’s reading of 1.40 percent growth. 30-year fixed mortgage rates rose two basis points on average to 4.08 percent; rates for 15-year fixed rate mortgages averaged one basis point lower at 3.56 percent and rates for 5/1 adjustable rate mortgages were nine basis points lower and averaged 3.66 percent. Discount points averaged 0.50 percent for 30-year fixed rate mortgages and 0.40 percent for 15-year fixed rate and 5/1 adjustable rate mortgages. Would-be home buyers are expected to join active buyers as lower rates hold steady and warmer weather arrives. First-time jobless claims fell last week with 202,000 initial claims filed. Analysts expected 216,000 first-time jobless claims based on 212, 000 new jobless claims filed the prior week. ADP reported 129,000 private-sector jobs added in March as compared to 197,000 jobs added in February and an expected reading of 165,000 jobs added. Loss of manufacturing jobs caused private-sector jobs growth to fall to its lowest reading in 18 months. Government readings for public and private jobs growth was higher in March with 196,000 jobs added; this was significantly higher than February’s slim reading of 33,000 jobs added. The national unemployment rate was unchanged at 3.80 percent, which matched expectations. This week’s scheduled economic news includes readings on inflation, minutes from the most recent FOMC meeting and consumer sentiment. 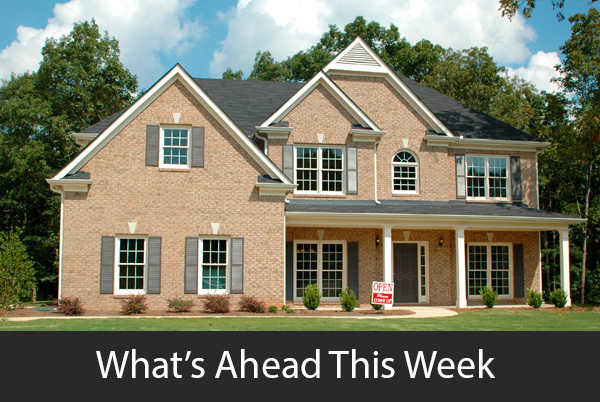 Weekly readings on mortgage rates and initial jobless claims will also be released.